S’mores Pizza | Let's Eat! Through the years I’ve made pizza just about every way possible but I’ve never made a dessert pizza until now! This pizza was such a hit with my family I’m pretty sure it won’t be the last time! Bake the pizza dough for 5 minutes before topping. Top pizza dough with chocolate chips, mini marshmallows and crushed graham crackers. Bake in 425 degree oven for 5-7 minutes until the top of the marshmallows start to get golden brown. Drizzle with melted peanut butter just after removing from the oven! 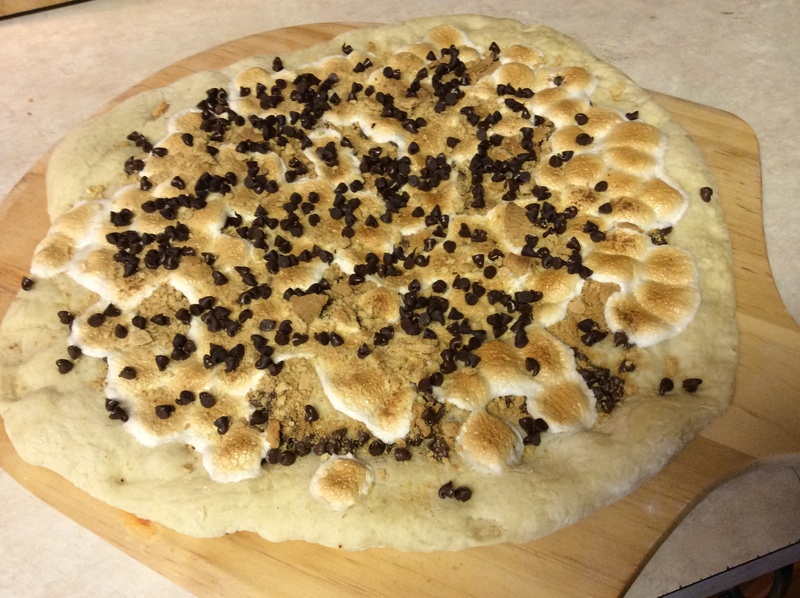 This entry was posted in Desserts, Recipes and tagged S'mores pizza. Bookmark the permalink. Looks divine! Perfect for camping! Checkout the new look at http://www.sundaywithachancwofmeatballs.com !